Thank you for visiting our Internet site. As an up-to-date business, we are currently up dating our website. Revisit for a full tour of our amazing inventory!We want to give you the opportunity to stay in touch with our company and know the services we provide. We have computerized software which is the same software the dealers use to determine the required and recommended services on your car. We have the latest scanners, scopes, & testers available for troubleshooting the latest model cars, SUV's and trucks. All shop equipment meets environmental standards for freon, oil and anti-freeze disposal. We use only quality parts. 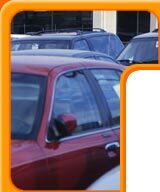 Stop By and check out our constantly changing innovatory of used cars Today!